The Creeper might cause a lot of trouble for you in Minecraft, but you got to admit, the guy has a certain kind of 8-bit style in the way he just blows stuff up. And now you can have his kind of style...well, without the blowing things up part of course. At least we hope without that part. 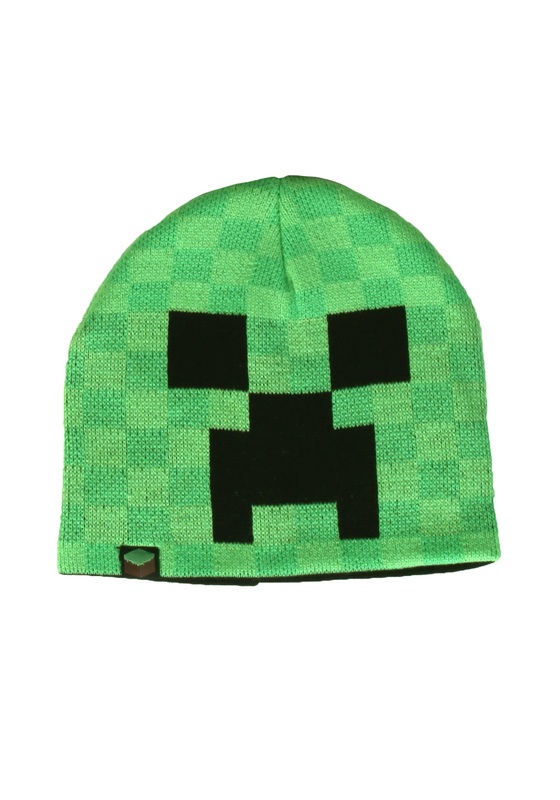 This Creeper Beanie has been designed by top notch folks working from the world of Minecraft to recreate that awesome design style. Don't worry though - this beanie might be shaped like that trouble making green guy, but it won't blow up when you put it on your head (fingers crossed anyway). It will keep your head nice and warm while you traverse the 8-bit world of Minecraft. Just watch out for any of his Creeper friends that might be hiding near by.